Most people don’t realize the importance of brushing their teeth and flossing daily. Besides leading to some cavities and rotting of your teeth, lack of brushing and flossing can lead to some other problems. Why Should You Brush and Floss? Food particles get stuck in our teeth every day. A cup of coffee or tea discolors the teeth and smoking are generally bad for the teeth and gums. Something as simple as a toothbrush is an excellent way to get rid of the staining and keep the teeth white and clean. But, a toothbrush cannot reach some of those tiny particles which get lodged between the teeth. Dental floss is used to get rid of all these small particles. Otherwise, the food starts to rot in the mouth, and you will have bad breath, unhealthy gums, and rotting teeth. How to Floss Properly: A lot of people pick up the dental floss meaning to floss regularly, but after a few weeks, they stop using it or they don’t know how to use it correctly. All that is needed is to cut about 18 inches of floss and wrap the ends around one finger on each hand. Holding it in place, maneuver it between the teeth and clean every section, bit by bit. Your gums may bleed a little for the first couple of times, but that is because they are getting used to the floss. You can floss before your meals, after your meals or even before or after you brush your teeth. At your child’s regular, twice-yearly dental checkups and cleanings, we can apply topical fluoride to strengthen tooth enamel and make it more resistant to erosion and decay. If necessary, we can also apply dental sealants to the back teeth (molars) to prevent food particles and bacteria from building up in the tiny grooves where a toothbrush can’t reach. Children need to know the proper way to brush their teeth, especially the toddlers. Teach kids to brush their teeth after they ate their snacks or meal. It would not take much of your time to encourage them to go to the sink, squeeze a small amount of toothpaste, and to sing about the dental song while they brush their teeth. Action songs that will tell them how and why they brush their teeth are helpful when teaching kids about the benefits of brushing their teeth. Give positive reinforcements or making good, lovely comments. There are many action songs available to help mothers teach their child to brush their teeth. 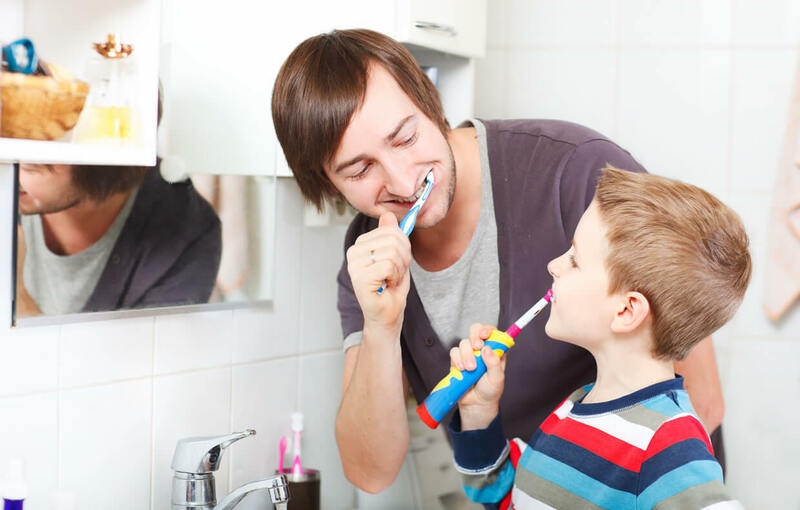 It is helpful for parents to provide assistance when their child is eager to learn to brush their teeth. At any age, prevention of tooth decay is necessary, teaching this lifelong habit is your critical role in helping your child’s teeth, and gums stay healthy as possible. 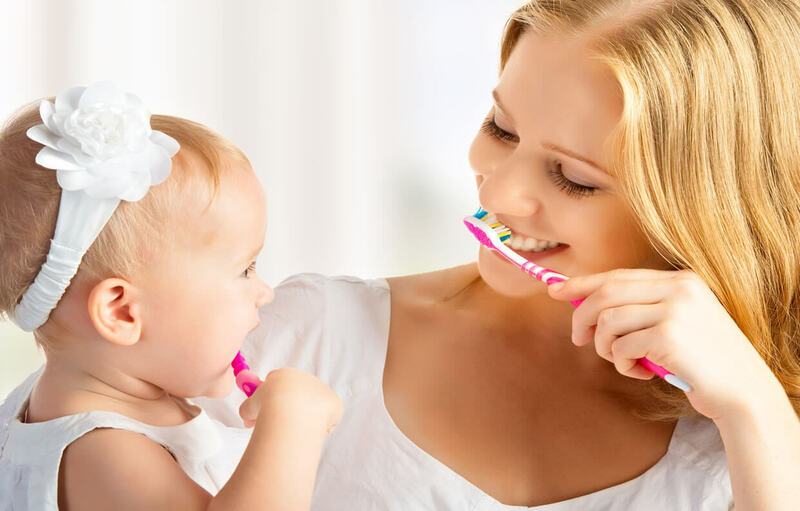 You introduce step-by-step and slowly so the child can understand and follow the proper way to brush. The best way is to teach first the toothbrush and the toothpaste location, let your child see and know how to squeeze the toothpaste, put the toothpaste on the toothbrush, and start opening the faucet showing how to fill the glass with tap water. These are the necessary steps, but the child needs to know and learn this repeatedly until they can follow the steps without your assistance. Then teach your child how to brush his teeth properly. •Stronger Teeth: Taking five minutes in the morning and five minutes at night to clean your teeth can lead to stronger and healthier teeth, letting you chew better and enjoy your food more. •A Better Smile: If you clean your teeth well, all the staining will slowly disappear, and you will have a perfect set of teeth to show off when you smile. Taking care of your mouth has its advantages. By brushing and flossing your teeth combined with regular professional care by a dentist, you will not only have clean teeth and healthy gums, but you will also help to prevent yourself from becoming prone to bacterial diseases of the mouth. Another advantage is that you will also feel confident to smile in public, knowing that your teeth do not appear unsightly. Take care of your teeth, and they will take care of you, and remember to keep smiling!